It's totally possible for your proposal to be a total surprise, while also exactly the moment you've already dreamed of. Here's how to make it happen. They say you can’t always get what you want. 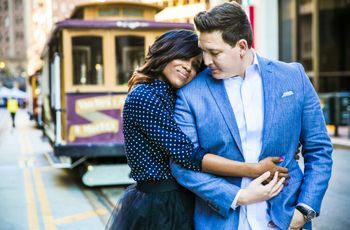 But when it comes to your marriage proposal—quite possibly one of the most important questions of your life, and likely one of the most memorable days of your life—I’m of the opinion that you absolutely should. Get everything you want. Everything! That stands true even if what you want doesn’t necessarily go together—such as a totally surprise proposal, but also a very specific idea of how your proposal should go down. Guess what—you can have both and make your dream surprise proposal come true. Here’s exactly how. Talk with your partner—a lot—about getting engaged. Duh! A surprise proposal should never mean a surprise engagement. We’re not even talking about magical proposal stories anymore here, people, we’re talking about a healthy marriage. You and your partner should totally be on the same page before getting engaged, even if one of you is asking the other—the event itself can be a surprise, but the fact that one of you wants to marry the other should be pleasantly expected. So, if you want to get married—even if you want the proposal to surprise you—feel free to start the conversation with your partner as early as you feel comfortable. Being surprised doesn’t have to mean being blindsided. Especially if you have a general idea of when you’d like your wedding to be, or the time of year you envision your engagement photos being taken, or both, it’s important to share with your partner the time of year you hope to hear that fateful question asked. A planned engagement decides an exact date—“I want a New Year’s Eve proposal!”—a thoughtfully surprising one considers a time of year—say, after graduation—season, or milestone—like, after you sign a lease. Think about this timeframe, and the cadence of all the events that follow, as you talk things over with your partner—trust me, it’s not ruining the surprise to decide together a generous window of time when you’d like the proposal to happen! Tell your partner what you don’t want. Even if planning the exact date, time, setting, ring, outfits and people in attendance isn’t your style, you can still have a proposal that holds up to your wildest dreams by making it clear to your partner everything you’d absolutely hate to have involved with your big moment. 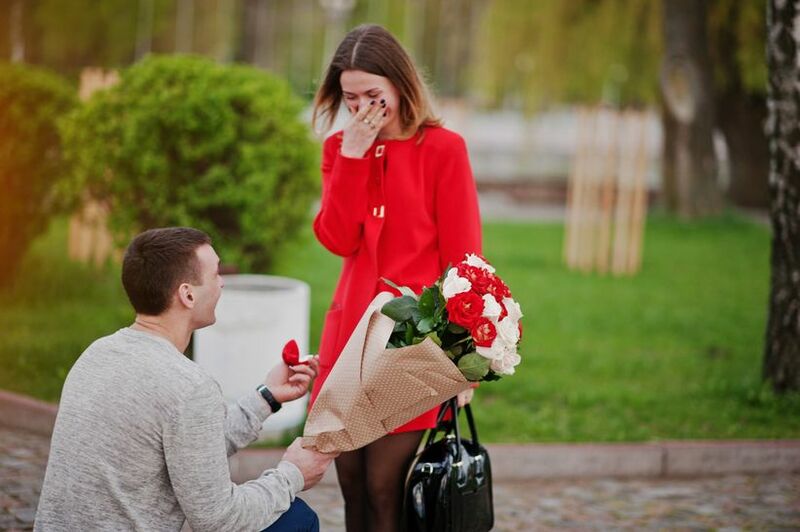 Think you’d die of embarassment if you got proposed to in a public place? Loathe yellow gold? 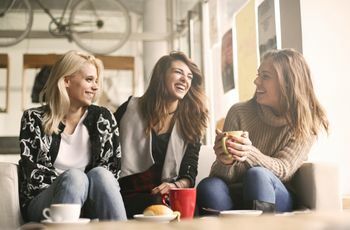 Sure, they’re about to be your partner for life, but they’re not mind readers—it’s totally OK to give them a list of “Please don’ts!” Itf’ll cut the stress for them as they plan, and it’ll ensure you stay surprised without becoming unpleasantly shocked. Drop hints about the ring. Most of us wouldn’t let our partners choose the haircut and style we’ll wear for the next few months, so why are you expected to let them choose the engagement ring we’ll presumably wear for the next few decades? You can totally influence their choice even if you want to be surprised with the final pick during your proposal. Feel free to set some general parameters—like your preferred choice of metal, diamond shape, designer, or vibe (modern? Art deco? )—or even go to a ring shop together and talk about what you like and don’t like for maximum influence. Or, you can share some inspo pics from Pinterest with a trusted pal and ask them to pass on the message to your partner. The takeaway here is that you’re helping inspire your partner with ideas on what you’d love your engagement ring to look like, but not picking the exact ring—so when your future-fiance opens that box, what’s inside will still be a beautiful surprise (that you’ll love forever). Share if you want photos. A totally surprise proposal doesn’t have to mean one that doesn’t live on in photos forever! If you’re obsessed with a professionally captured (or even shot-on-iPhone-by-a-pal) engagement (and who isn’t?) you can and should ask your partner to arrange to have the whole thing—whatever it ends up being—caught on film. To keep up the surprise factor, the proposer should ask the photogs to stay hidden until the question is being popped—you’ll probably become quite suspicious if you happen to be strolling through a beautiful park and your partner is dressed to the nines and there’s a creep with a camera following your every move. Bonus: All photographed engagement moments are stunning, but a super-shocked face in a surprise proposal is sooo worth catching on film. If you truly want to be surprised, you will have to let go a little—ok, a lot—which might be hard if you’re a little Type-A. But if you’re also someone for whom surprises are important, and sentimentality matters, it’ll be worth it to keep your surprise proposal details at arms length and let your partner take the reins. 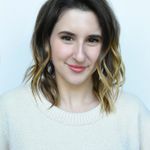 All proposals are magical, but the one you don’t expect, with romantic details your partner schemed in secret just to make you swoon, with a ring they spent weeks, if not months, choosing—that’s a certain kind of magical you just can’t experience anywhere else, or during any other time, in your life. So, drop the urge to prod and peek at the details. 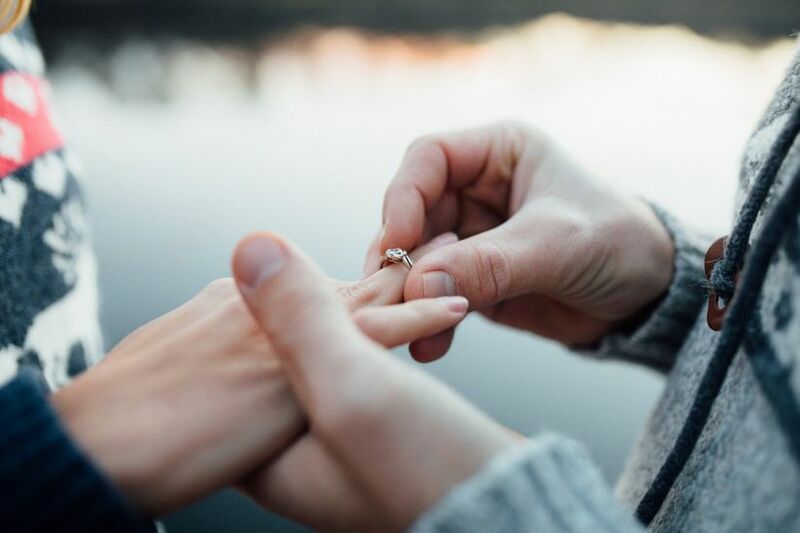 If you know a proposal is coming in your future, whether near or far (and you should if you read item #1 on this list), simply keep calm, carry on, and wait for the best surprise ever!